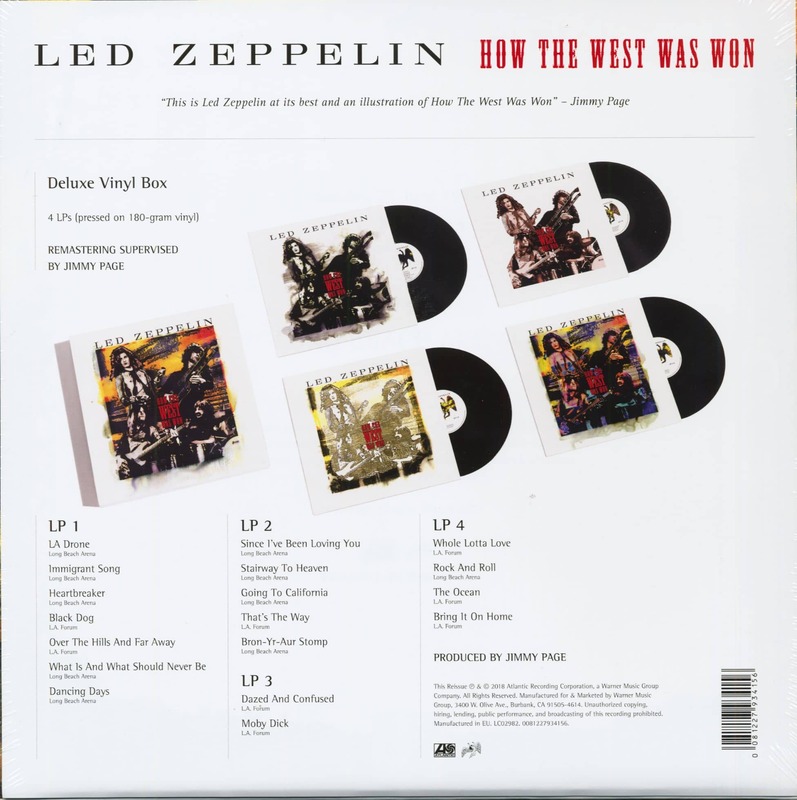 A milestone in a new guise: With "How The West Was Won" Led Zeppelin re-released their legendary 2018 live recording, completely remastered and for the first time ever on vinyl. 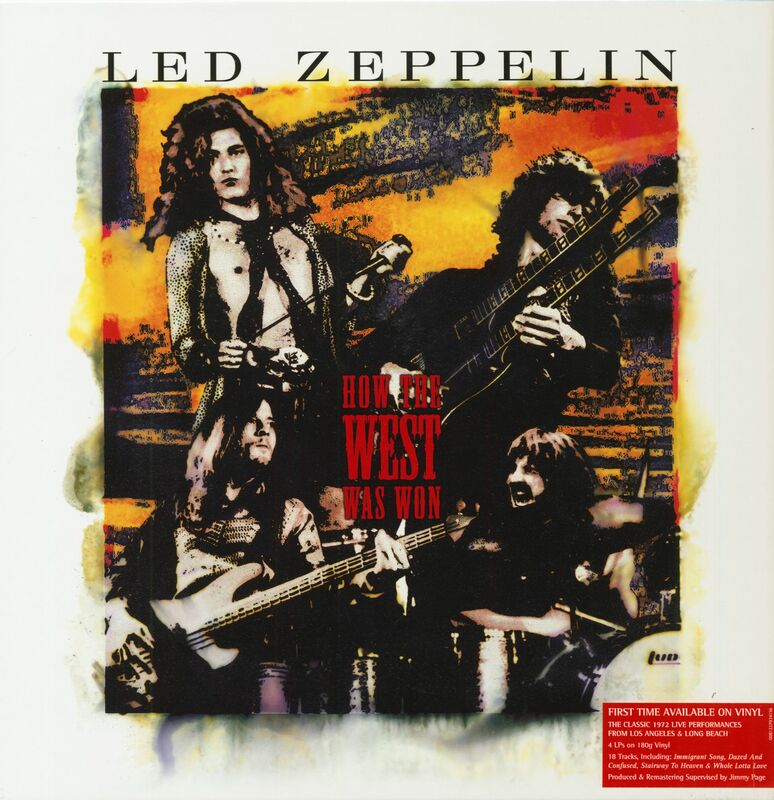 "How The West Was Won" brings together concert recordings of the band from 25 and 27 June 1972 in the Los Angeles Forum and the Long Beach Arena. For 30 years, these recordings were only available as illegal bootleg until they were first officially released in 2003. Now no one less than Jimmy Page took another look at the recordings. 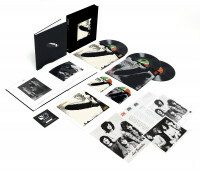 The album contains a total of 18 tracks, including classics such as "Stairway To Heaven" and "What Is And What Should Never Be", a more than 25-minute version of "Dazed And Confused" and a 23-minute medley from "Whole Lotta Love", "Boogie Chillun", "Let's Have a Party", "Hello Mary Lou" and "Going Down Slow". Jimmy Page, Robert Plant, John Paul Jones and John Bonham also played songs on the two gigs that only appeared nine months later on the album "Houses Of The Holy": "Over The Hills And Far Away", "Dancing Days" and "The Ocean". 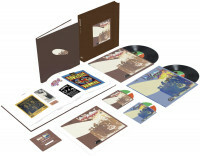 The remastered "How The West Was Won" is now available as Blu-ray audio, a 3-CDs set, a 4-LP set and a super deluxe box set. 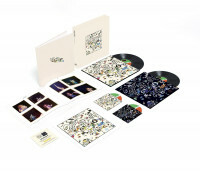 This contains the album on three CDs and four LPs as well as a DVD of the album in Dolby Digital 5.1 surround sound and PCM stereo with additional photo gallery. In addition, there is a download card for all stereo audio in a resolution of 96 kHz/24 bit, a book with rare and sometimes never shown photos and a print of the original cover, of which the first 30,000 copies are individually numbered. A special live document, a great collection of songs, a musical journey through time. 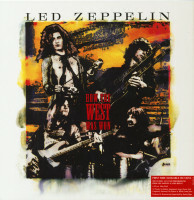 Rock legends Led Zeppelin present "How The West Was Won" in a new sound. Gegründet 1968 in London. Heute noch besteht die Gruppe aus der Gründungs-Besetzung. Ihre Philosophie ist es, die musikalischen Ideen jedes einzelnen im Kollektiv zu verwirklichen. Jimmy Page spielt Lead-Gitarre, Rhythmus-Gitarre und akustische Gitarre. 1966 kam er zu den Yardbirds. Jimmy sprang 5 Minuten vor einem Konzert für Paul Samwell~Smith, der erkrankt war, ein. Zunächst spielte er Baß, wechselte dann aber zur Lead-Gitarre über, als Jeff Beck wegen Krankheit ein paar Tage ausfiel. 1968 trennte sich die Gruppe. 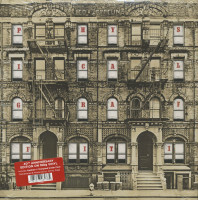 Page begann den Aufbau von Led Zeppelin. John Paul Jones spielt Baß, Orgel und Piano. Er war früher Bassist bei Jet Harris und Tony Meeham, danach Studiomusiker und Arrangeur für Tony Meeham, Donovan, die Rolling Stones, Jeff Beck und Dusty Springfield. Schlagzeug spieltJohn Bonham, 'der aus Birmingham stammt und vorher einige Jahre mit allen möglichen Gruppen zusammen war. Robert Plant ist in erster Linie Lead-Sänger, dazu spielt er brillant Harmonika und Baß. Seine große Liebe war schon seit jeher der Blues, heute ist es der „Robert-Plant-Blues', auch wenn eine Zeitung wohlwollend schrieb „sein Sound erinnert an Sonny Bay Williamson'. Entdeckt wurde er von Terry Reid, einem Freund von Jimmy Page. Der San Francisco Examiner über ihn: „Robert Plant ist eine besonders machtvolle Janis Joplin'. So groß ist seine Stimme. Customer evaluation for "How The West Was Won (4-LP Deluxe Box & Download, 180g Vinyl)"